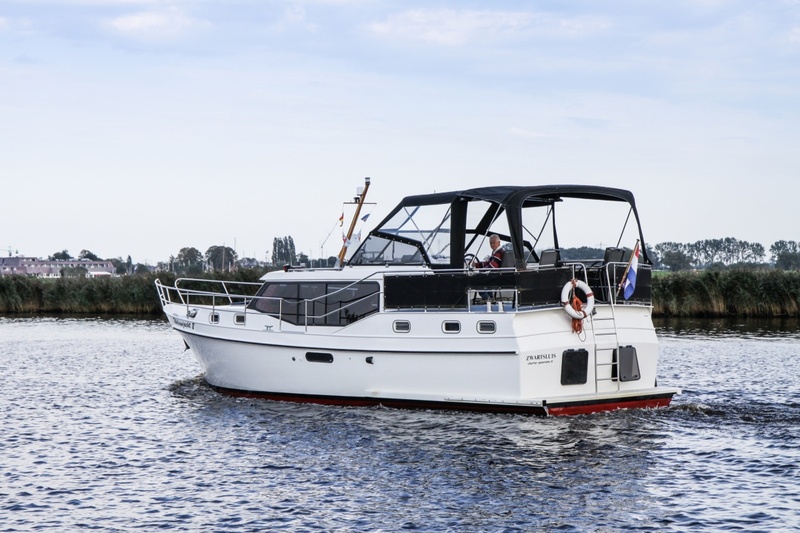 The Wolvenjacht 14, just like our Wolvenjacht 8, is specially built for four people and ideally suited for two couples. 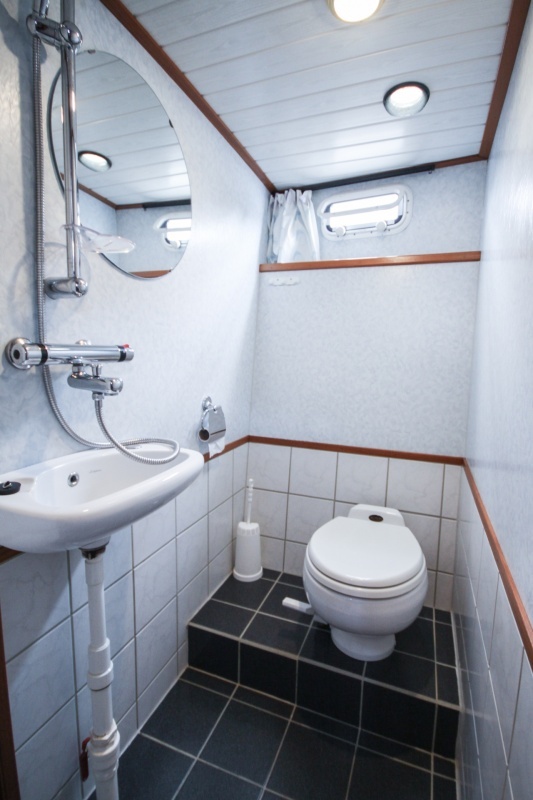 In this spacious yacht you never feel like you are right on top of eachother. 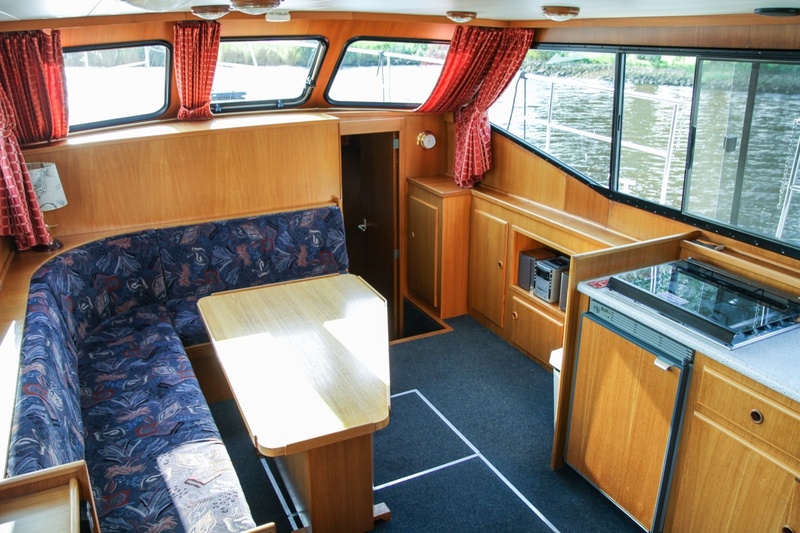 Both above and below deck there is plenty of space to have fun together or retreat. 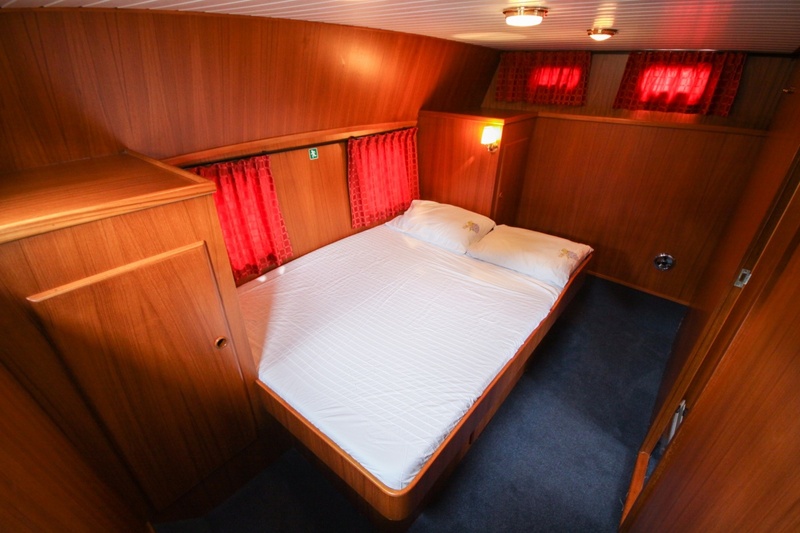 Below deck you can start off in the morning with a quiet start thanks to two double bedrooms, both with their own shower room. 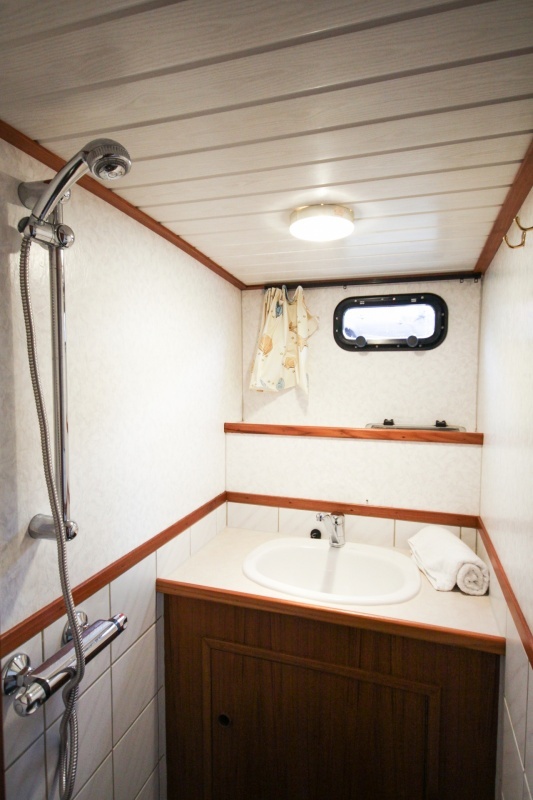 In the bow, right next to the bedroom, there is a wet room with shower, toilet and sink. 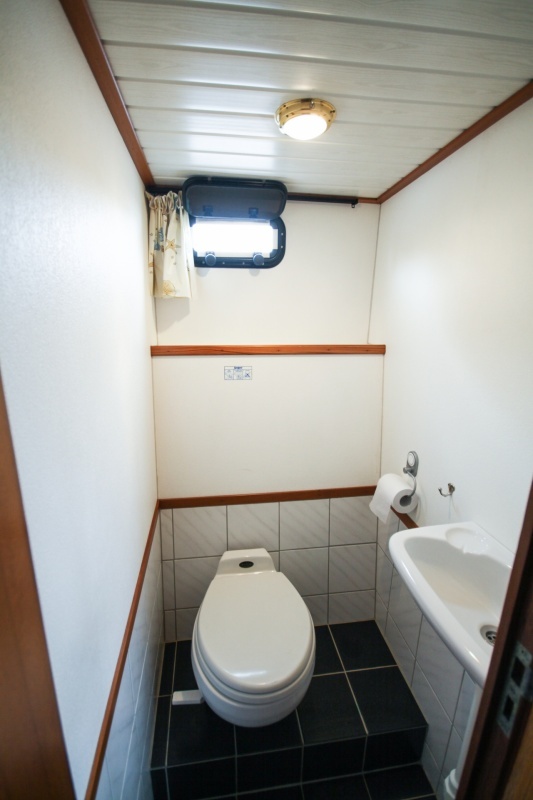 In the back, the shower and the toilet are two separate rooms. There you will also find plenty of cupboard space. 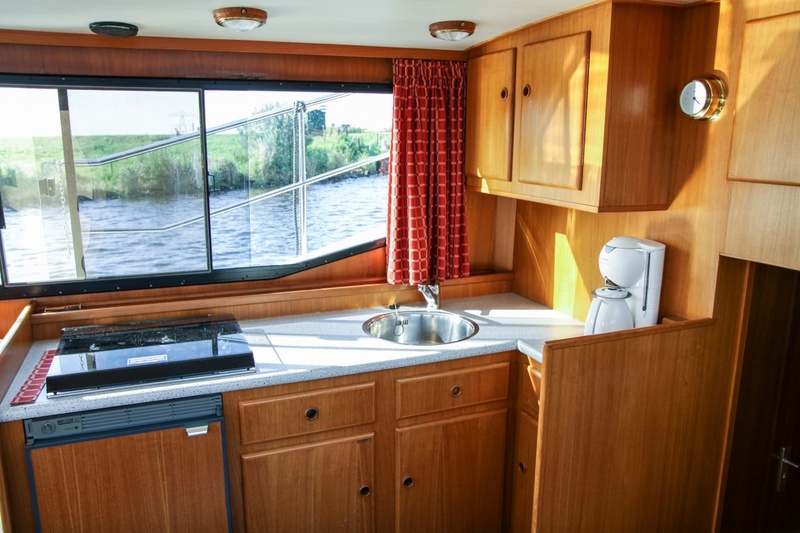 The living area and the kitchen are situated in the middle of the ship. Here you can enjoy a delicious meal or a chat in the spacious sitting/dining area. The deck - from where you control the ship - is nice and big. A table and four chairs provide a relaxing lounge area where you can enjoy some quality time together. Sun or no sun? Thanks to the convertible top and canvas you can easily open up the sun cover. 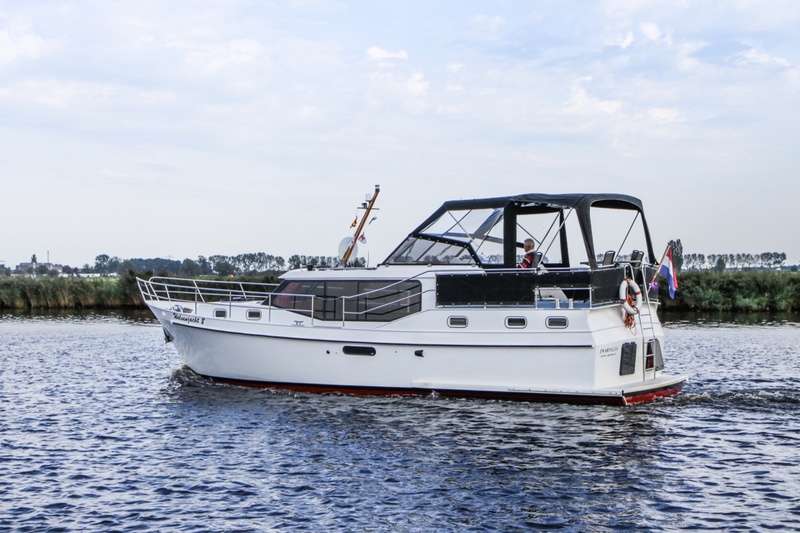 There is an inverter with 1200 Watt power for coffee maker, satellite TV and a music system. 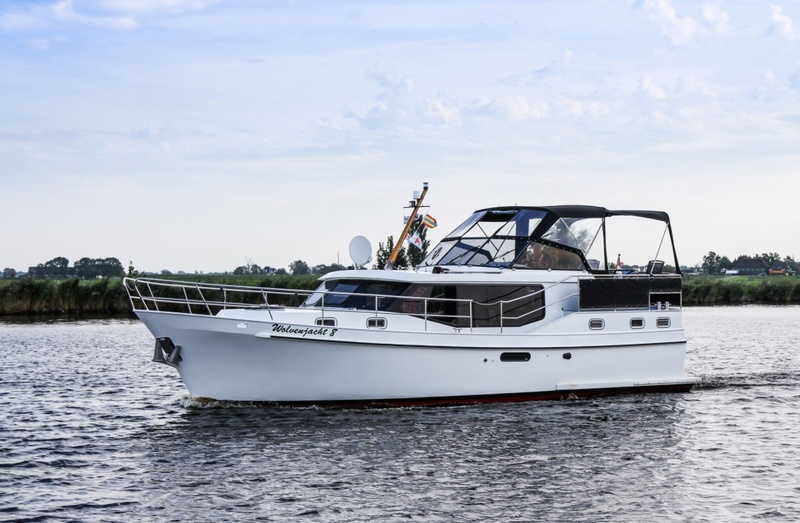 Also a plus: Wolvenjacht 14 is admitted on the IJsselmeer. 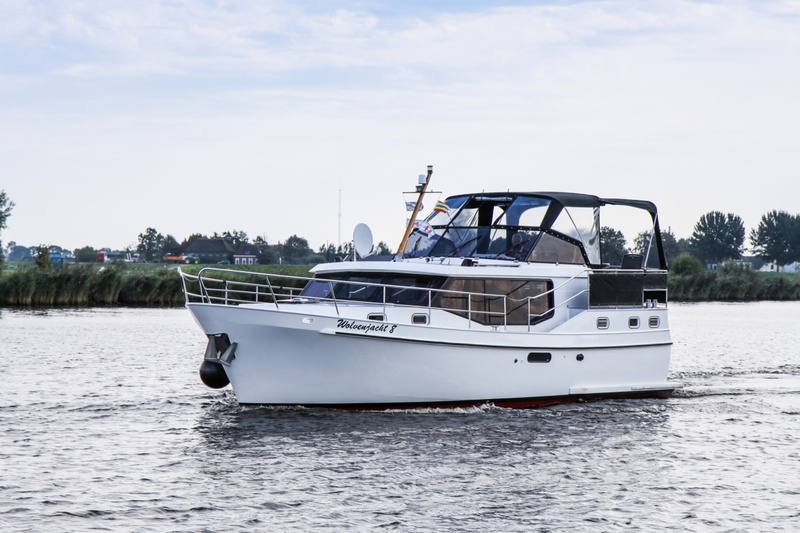 De Wolvenjacht 14 can be rented from Friday to Thursday, where you can board the ship from 6 pm on the Thursday and leave the harbour on Friday from 9 am. The next Thursday you have to return the ship before 1 pm. 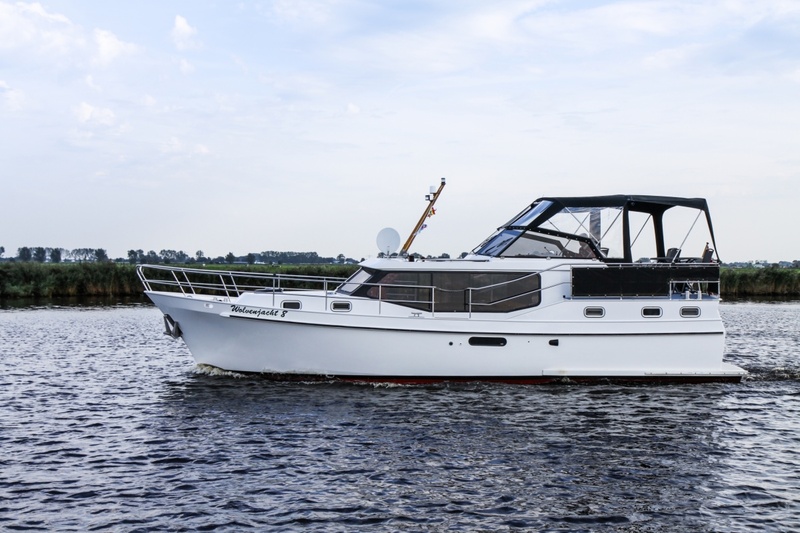 Select a rental period or contact us for more information about the rental of this yacht. A sailing holiday without worry! 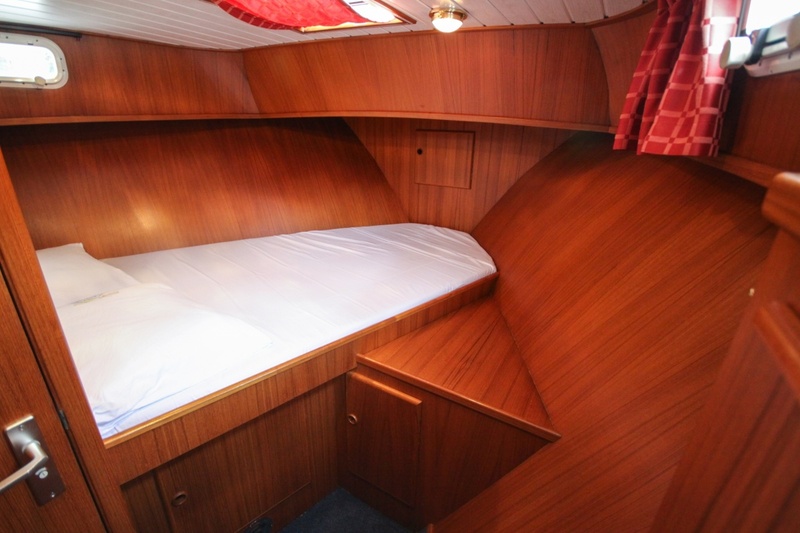 For more than 35 years now we have been providers of sailing pleasure. Thanks to that experience, we know the wishes of our guests better than anyone else. We fully align our fleet of motor yachts with this knowledge. We can do this, as we build our yachts ourselves. In terms of size, layout and decor, we provide a wide range, which also undoubtedly includes the perfect match for your budget. This way we provide you with a sailing holiday without worries! Contact May we help you?